A scientist believes how alien civilizations located within the Habitable Zone of our Galaxy (Galactic Habitable Zone) could create a MASSIVE intergalactic network that would allow them to communicate with one another. A recent paper published by Dr. Duncan H. Forgan of the University of St. Andrews proposes that alien super civilizations in our galaxy could communicate with each other by creating “artificial transits” in their respective stars. Titled Exoplanet Transits as the Foundation of an Interstellar Communications Network, the paper begins by mentioning two basic problems associated with interstellar communication: time and energy consumption. When we speak of radio transmissions, for example, the amount of energy required to transmit a coherent message over long distances is prohibitive. On the other hand, optical signals (i.e. lasers) require less energy, however, for the receiver to detect them would require ridiculously precise coordination. Therefore, no method currently available to man would be reliable to establish an interstellar communication system with another civilization. Forgan argues that a method where transits in front of stars are used as a basis for intergalactic communication would solve both problems. This is actually something quite logical considering that today transits are the most popular and reliable way astronomers detect distant exoplanets in the universe. By monitoring a star for periods of diminished brightness, caused by a planet or object passing between the observer and the star, astrophysicists are able to determine if a star hosts a planetary system. The method is also handy for determining the presence or composition of atmospheres around exoplanets. However, Forgan argues that this method could also be very useful for signaling other alien civilizations. Professor Forgan argues how An ETI ’A’ can interact with ETI ’B’– if ETI B is observing transiting planets in A’s star system. This can be achieved by either developing structures to create artificial transits observable by B, or by sending out signals at B during transit, at significantly lower energy consumption than typical electromagnetic communication schemes. This can provide a network of interconnected civilizations, establishing contact via observing each other’s transits. Forgan discusses the Galactic Habitable Zone—a region of the Milky Way where life is most likely to have developed—saying that different alien species may find the best way to communicate with one another by creating massive artificial megastructures that orbit and transit their host star. Other alien civilizations searching the cosmos looking for planets and life would identify these transits, and allow them to conclude that an advanced civilization exists in a given solar system. “A message with a path of 20 kpc (the diameter of the GHZ) has a total travel time at light speed of just under 0.06 Myr. If we assume a relatively short timescale on which both ETIs remain in the transit zone of 100,000 years (which is approaching the timescale on which both secular evolution of planetary orbits and the star’s orbit become important), then a total of 30 exchanges can be made. This, of course, does not forbid a continuing conversation by other means,” suggests Forman. Does the above ring any bells? If it does, then it’s mostly because of the confusion happening around star KIC 8462852 (also known as Tabby’s star). In 2015, astronomers noticed that a star in the universe was displaying odd drops in brightness over the last couple of years. 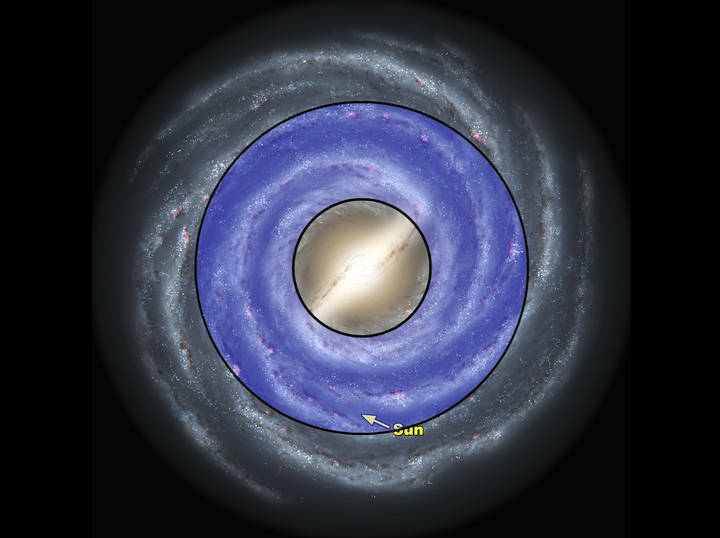 Since no natural explanations can be attributed to the ‘misbehavior’ of the star, some astronomers argued that the unusual dips in the brightness of the star could be associated with the presence of a massive alien mega structure. Forgan believes that this would be relatively practical and economical for alien civilizations to establish communication with other advanced alien civilizations. Using Graph Theory, Forgan argues that civilizations located within the habitable zone of our galaxy could create a fully connected mega-network within a million years, allowing all civilizations to communicate with one another—either directly or through intermediary civilizations. The only thing left to ask here is, are they on Facebook too? This method has quite a few positive sides. Not only would such an alien network require less energy for data transmission, but Forgan argues that the range of signals would be limited only to the extent of the alien civilization itself. This method also has other advantages, for example, the main requirement to contact others would be to have sufficient technological sophistication to detect exoplanetary transits or artificial megastructures. Just like we do today. In other words, intelligent species should reach a certain level of development before they can join the network. This would prevent any “cultural contamination” and would prevent less advanced civilizations from knowing of the existence of other superiors before they were prepared for contact. Makes total sense right? Furthermore, another advantage highlighted by Forgan is that once acquired, the signals of the transits would be very predictable, with each transmission corresponding to a known orbital period, making the transmission run smoothly.